Myanmar, or Burma, is officially Republic of the Union of Myanmar which is derived from the Burmese Empire (1500-1000 BC ).A Southeast Asian nation of more than 100 ethnic groups, bordering Bangladesh ,China ,India, Thailand and Laos. 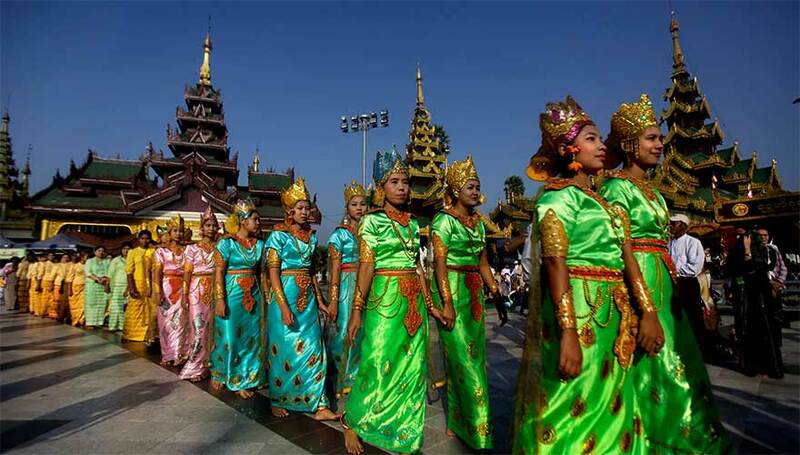 Yangon is the country’s big city, home to bustling markets, November-February is the peak tourism season. Highest Temperatures in the hot season can rich up to 36°C in Yangon. While in the cool season, noontime temperatures are consistently a more bearable 32°C, with night temperatures falling to around 19°C.